Online used auto parts are now for sale to buyers at the AutoProsUSA.com company. These parts includes engines, transmissions, exterior, interior and aftermarket parts that can be installed onto most foreign and American produced motor vehicles. Everyone wants a discount although price drops are hard to find in the secondary industry. 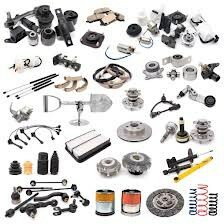 Purchasing parts for sale online is one method that consumers use when trying to locate discount prices. The AutoProsUSA.com company now offers access to its online used auto parts at http://autoprosusa.com/used-auto-parts-online. Car owners or mechanics who regularly buy parts online are expected to benefit from the resources now provided. "We've grown into an excellent resource for aftermarket parts over the past year," said a spokesman for the Auto Pros USA company. The inclusion of pre-owned parts to the inventory now offered online is expected to expand upon the opportunities that are now available for consumers purchasing replacement parts. Some of the most common parts that fail on automobiles can be the most expensive to replace. Industry estimates currently reveal that engines and transmissions can easily exceed the cost of used vehicles when purchased at full retail prices. The partners now supplying access to the previously owned auto parts inside the AutoProsUSA.com company database currently discount the prices. "Everyone wants a discount although price drops are hard to find in the secondary industry," the spokesman said. Part of the differences offered by the Auto Pros USA company includes lowered sticker pricing for all inventory that is displayed to buyers online. Price levels are consistently monitored and adjusted to reflect any discounts this company receives. The online parts that are now for sale includes immediate price quotes that are generated through the company constructed quote system. This new system has reduced the call volume required to locate pricing and warranty information before and after purchases are completed. Buyers who prefer to call company specialists and receive information can continue to call 1-888-230-1731. The AutoProsUSA.com company promotes its used parts database to consumers in all parts of the United States and Canada. This company is one of a handful of companies currently discounting auto parts prices and shipping these units without freight charges. The AutoProsUSA.com company specialists provide phone support through a toll-free system or through online feedback systems that are set up to provide exceptional customer service. The pricing is monitored by this company and distributed immediately upon request. Frequent discounts and additional customer benefits are supplied when each consumer places orders through this company.